Arc Vector includes sensor-heavy apparel like jacket with haptic feedback. Arc Vehicle of Britain are bringing their first-born bike to the EICMA show. 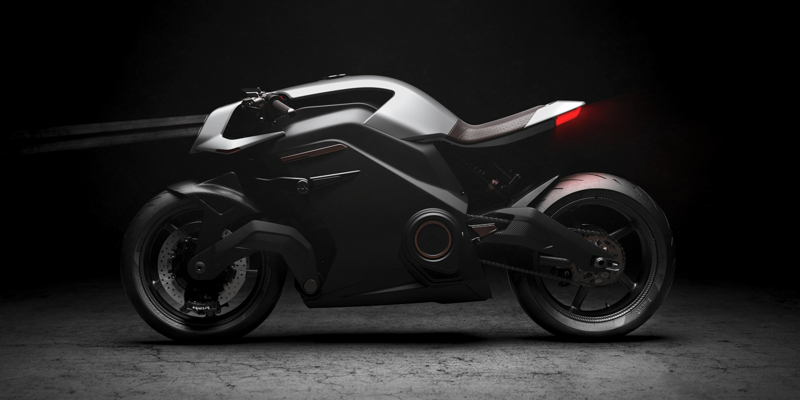 The Vector electric motorcycle boast 95 kW for a top speed of 241 kph at ranges of around 200 km. Add to this responsive gear and you attract mighty backers like JLR. Yet, the Vector has a very steep price. All in all, this electric motorbike is top of the class in everything high tech. Currently on show at the EICMA in Milan, the Arc Vector is exclusive. Take the company’s founder, Mark Truman to start with. He used to head Jaguar’s White Space, the division responsible to come up with ideas and concepts. And indeed the Vector was conceived in said White Space but this time the cafe racer made it from concept stage to reality. Well, sort of. Only 355 units will be build and those claim to deliver. As if 95 kW and a rated top speed of 150 miles (241 kph) are not enough, this e-bike also aims to accelerate from 0 to 100 kph in 2.7 seconds. For once such performance is said not deplete a full battery in a matter of minutes. Arc Vehicle estimate that their battery cells will offer 193 km of motorway and 274 km of city driving range once they moved on from prototype stage. The design has been custom-made as well to account for the bike’s electric nature. The body is a carbon fibre monocoque frame and houses all the electronics including the battery, motor and controllers. Moreover the electric motorcycle includes a helmet with integrated display and rear camera so that the driver effectively has eyes in the back of his head. Then there is a haptic jacket providing further feedback, when a car approaches for example. The integrated speakers are said to also allow the motorcyclist to “feel” the music in certain settings. Such high-tech and exclusivity has its price though and the Arc Vector electric motorbike will have a starting price of a whooping 117,000 euros. It is rather extreme, although we expect that includes all gear. The website allows you to register your interest. The sum of the investment made by JLR’s venture capital arm Inmotion has not been disclosed.